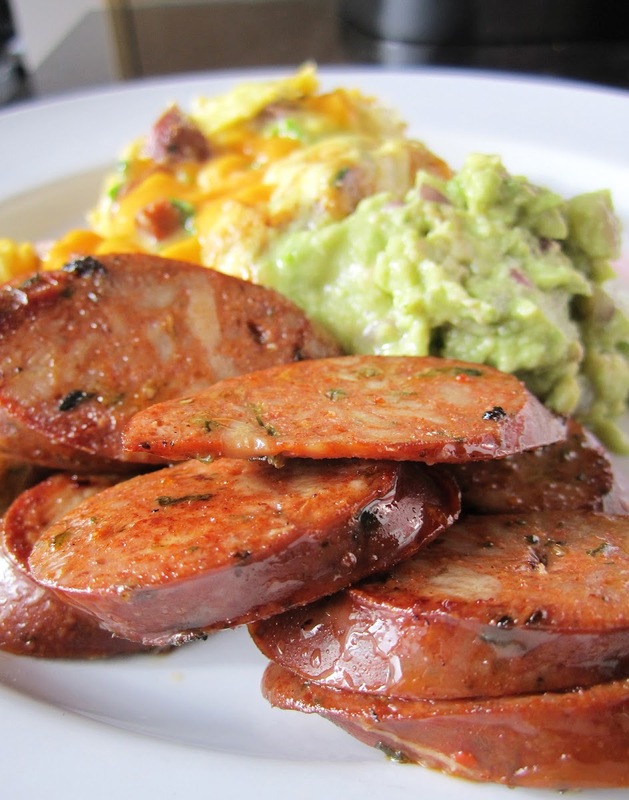 One of my favorite breakfasts - cheese omelette, chorizo and guacamole. 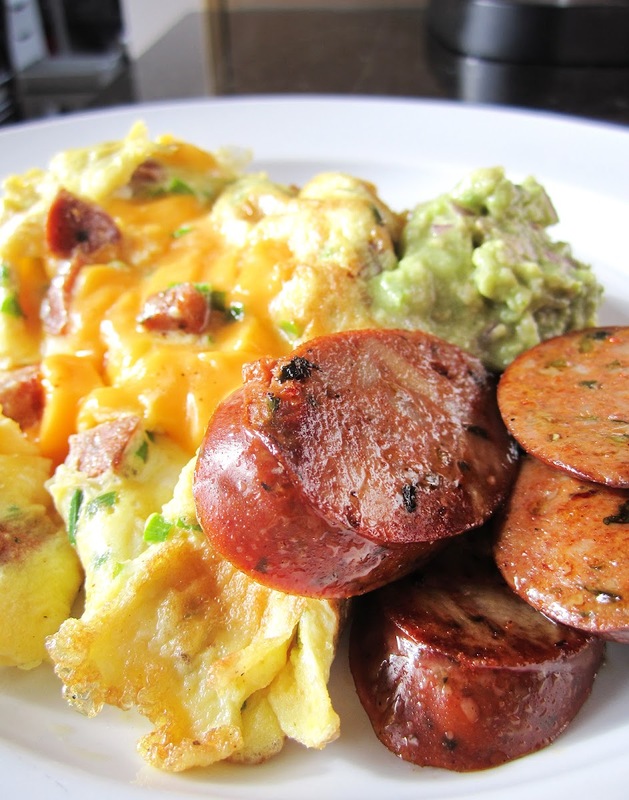 Omelette has cheddar, chives and some bits of chorizo. A recipe for guacamole can be found here. Beat the eggs well then add the remaining ingredients. Heat a skillet over medium-high heat. Once hot, reduce to medium and add 1 Tb oil and spread evenly. Pour omelette mixture in and allow to cook on one side, then flip the whole mess over and do the other. I prefer to serve it roughly piled but if you like it more clean, fold the omelette as it comes out of the pan. I hadnt seen this post...loved this! !